Linen and towels included but please bring your own beach towels. 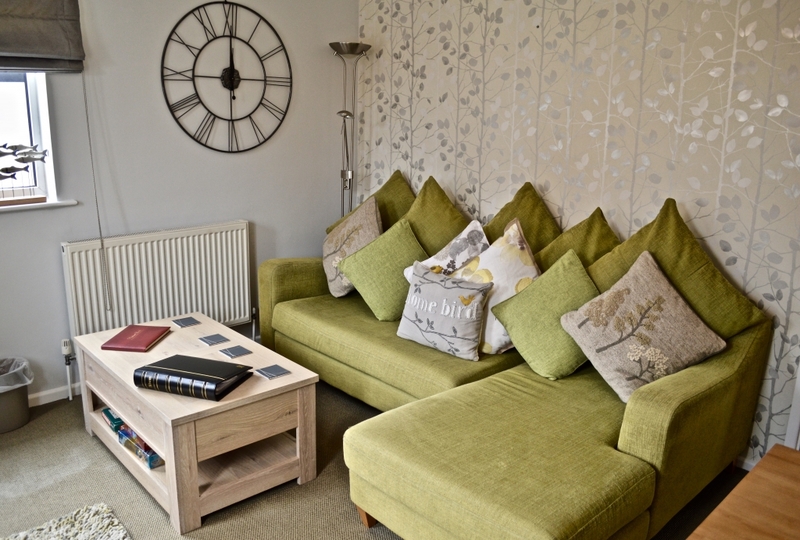 Old Bakery Mews is an immaculately presented dog friendly holiday cottage Sheringham. You will be well placed here for all the town has to offer. It is literally a couple of minutes walk to the sea front and everything Sheringham has to offer. The house takes it name from the bakery that used to be run from the premises behind the mews. A lovely cottage to come home to after a day out exploring, the sofa was especially comfortable! Everything we needed for a relaxing break. A great central location, can recommend a visit to the North Norfolk Steam Railway, just a few minutes walk away from the Old Bakery. Entrance Hall: With staircase to first floor, easy and not steep. Pretty sideboard, tiled floor good spot for taking off boots and drying your dog. Bathroom: With basin, WC, bath with shower over. Mirror and heated towel rail. Sitting Room: Very nicely presented, sunny, comfortable room with large corner sofa and plenty of cushions, leather swivel chair, dining table and chairs. Coffee table. Side tables and lamps. TV with FreeView. Gas flame effect fire for cosy nights in. Views down the street. Kitchen: Well equipped with, gas hob and electric oven, fridge with small icebox, dishwasher and microwave. Bedroom: Lovely calm romantic bedroom with painted wooden flooring, king size bed with quality linens. Wardrobe, dressing table and side lamps. Radio. Outside: There is a small shingled area with garden chairs to sit outside. Please note there is a right of way through the area to the cottage behind which is used occasionally. Roadside parking nearby and you can easily stop to unload and load up. If you would like to book your parking for your stay please click this link to the NNCD website. You will need to do this at least a week before your stay. Sheringham is a wonderful unspoilt Victorian seaside town, famous for being the home of the North Norfolk Railway which in September becomes the focus for the equally famous 1940s weekend which is attended by thousands of people every year. The railway hosts many events over the year which are always worth visiting. The carnival in August is another highlight of the year and is a lot of fun. Sheringham has a Blue Flag beach, a theatre and connections to National rail services through to Norwich. Old Bakery Mews is the perfect dog friendly holiday cottage Sheringham for a comfortable stay.